For many people, Siberia is a dark and foreboding place, a place where governments have sent people to suffer, starve and die for hundreds of years. Despite this, there are many nomadic groups who have made Siberia their home. These peoples have carved out a way of life from these harsh steppes, where even a few exposed hours without shelter can lead to death. What does it mean, then, when people that tough and that skilled at handling this particular environment spend long centuries avoiding a certain haunted place? Located in the in the fertile basin of the Upper Viliuy River, there is an area known to the nomad Siberian people as Uliuiu Cherkecheckh, a grim name which translates roughly to the Valley of Death. This area has had a dark reputation for almost a thousand years, when according to myth some kind of hellish disaster took place. Across this area, giant metal cauldrons may be found, hollow and half-buried in the soil of the forest. Thanks to the remoteness of the region, their existence was thought to be a myth for many years. The entire area has always been shrouded with mystery, but a few facts emerge from history to tantalize modern scientists. Old folktales are one thing, but what about oral history? The Valley of Death is on one of the trade routes in the area, and most traders give it a wide berth. Sometimes, however, the steppes are cruel, and it is better to risk supernatural vengeance than a slow death by exposure. A woman traveling with her father as late as the 1930s reported taking shelter under one of the cauldrons in bad weather. She described it as a perfectly formed bowl half buried in the swamp, smooth to the touch and made of a strange metal she had never seen before. The histories do not go on to say what happened to this woman, but if she survived her encounter with these strange structures, she is one of the lucky ones. Aside from belching village-destroying fireballs, the cauldrons of the Valley of Death are known to sicken those who come around them. Historically, the people of the area assumed that it was a haunting or a curse, but the symptoms of this ‘curse’ may sound very familiar to some people. Some people sicken and die over the course of a few months, and many of them report losing their hair and their their teeth along the way. One man who ventured into the Valley of Death with his friends stated that he came away with three sores on his head that have never gone away. These sound a great deal like the common signs of radiation sickness. Given the fact that radioactive material is known to cause cancer and other ills, it both throws new light on the curse of the Valley of Death, but raises even more questions! 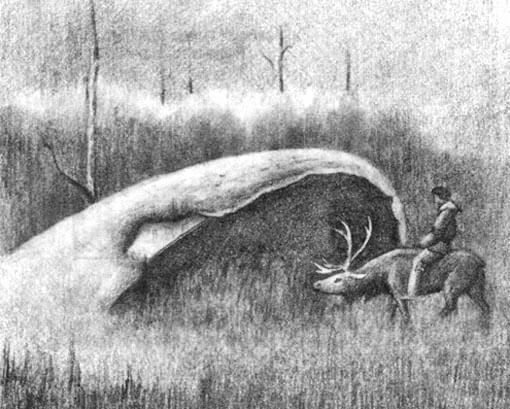 Modern scientists and historians agree that the cauldrons of the Valley of Death are extraterrestrial in origin. The oral legends bear that out, with something falling from the sky and burning as it did so. Asteroids do much the same thing when they enter earth’s atmosphere. However, what kind of asteroid sends up a pillar of light that stays steady for days? What kind of asteroid will occasionally spit out fireballs that are big enough to obliterate villages? The answer is nothing we have seen yet. The secrets of Siberia’s Valley of Death are dark and shrouded in mystery, and investigating them is not without risk. From the deepest parts of the regions history, something is hiding in this murky region, and its secrets have not come to light. Whether we will ever know the truth of what lies in this deadly region is a question that can only be answered in time, and until then, wise people avoid this area and respect its strange power.